Costa Rica is absolutely beautiful, green, lush, and full of friendly people. 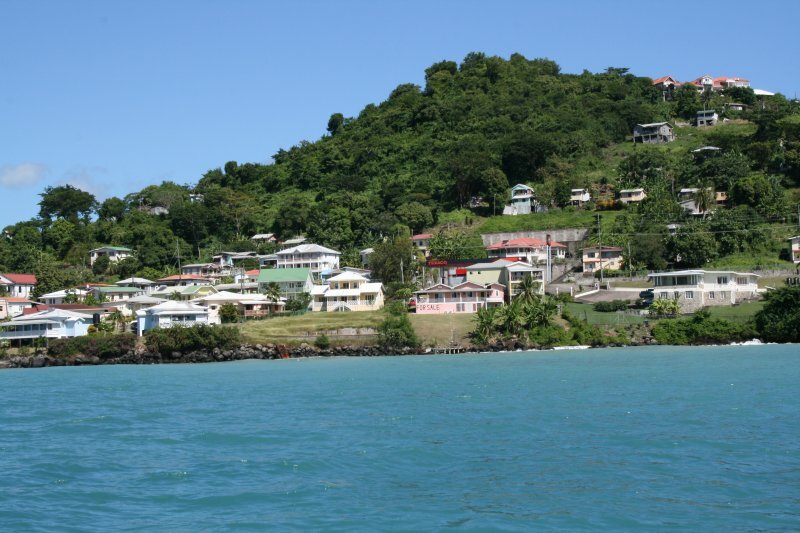 We have enjoyed walking around the various towns (Jaco, Quepos), meeting “ticos” (locals), and seeing the wildlife. It has been a fun adventure. We are thrilled we could share it with Matt’s mom, Monica. 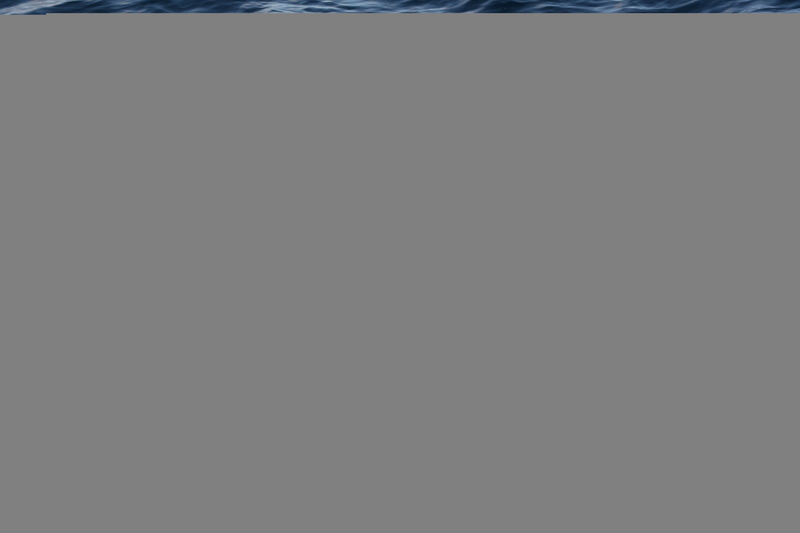 We met her at the Croc’s Casino and Beach Resort and enjoyed some chat time before we headed to Poseidon Restaurant. Matt and I had made reservations the day before so we were all set to enjoy our Sunday brunch. Costa Rica celebrates Mother’s day in August. As a result the place wasn’t terribly crowded. It’s a cute little place with the seating and bar inside and the kitchen outside. Very tasty food! 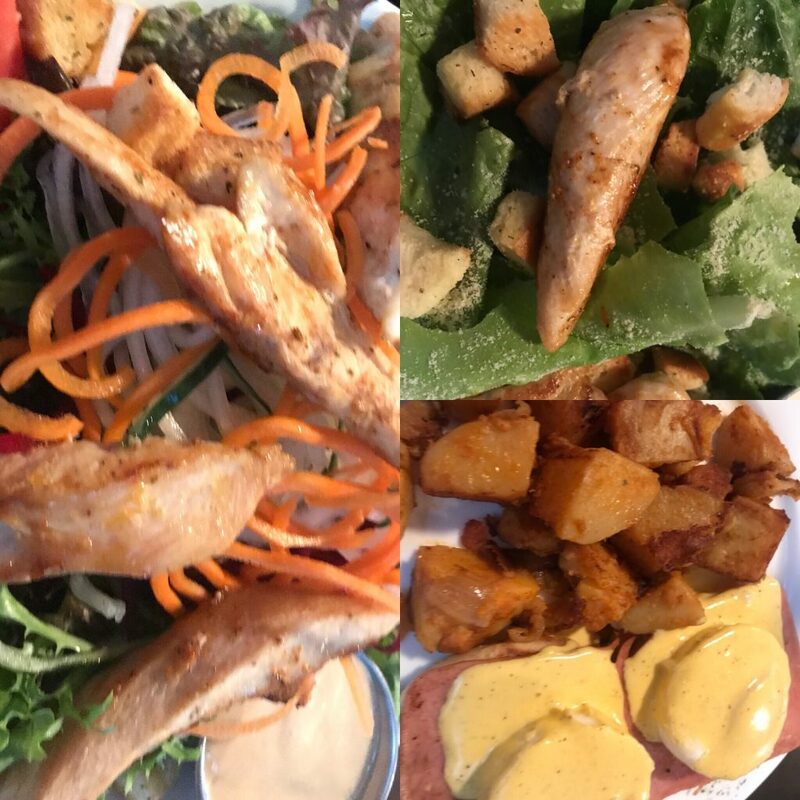 We ordered a chicken Caesar salad, Tropical salad and eggs Benedict with mimosas of course. 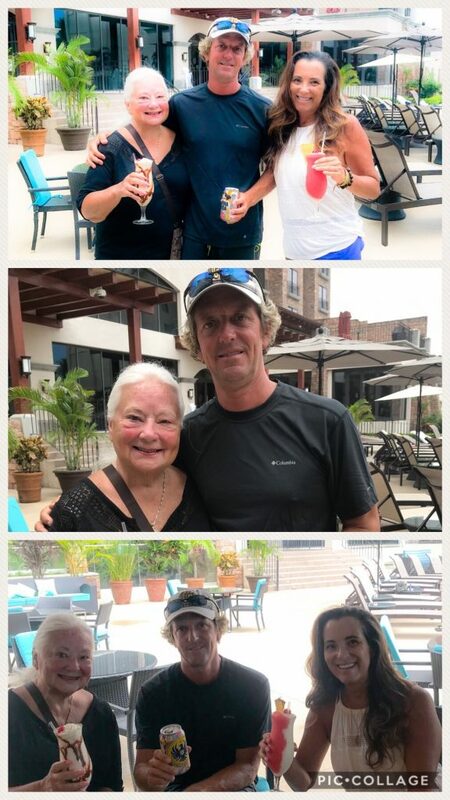 The day Monica left, we enjoyed a nice lunch by the pool along with some frothy drinks. I had a Miami Vice, have you heard of that before? It is 1/2 strawberry margarita and 1/2 pina coloda. Perfect mix. Cocktails by the pool to celebrate with Monica. 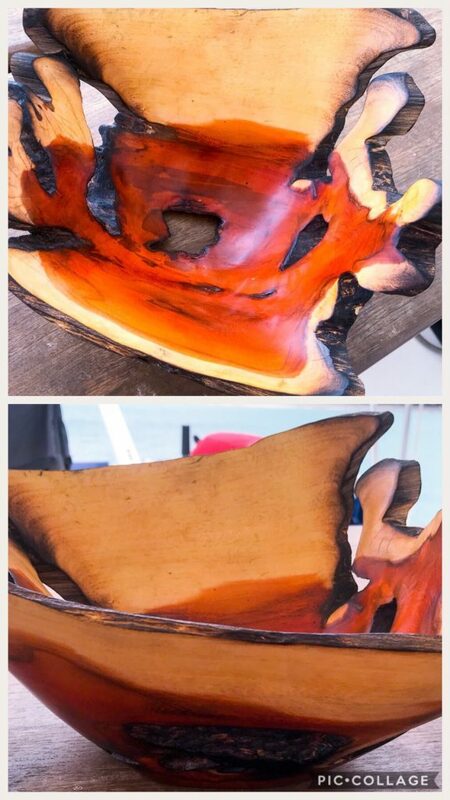 Matt and I found this beautiful bowl made out of Brazilian wood that has become our fruit bowl on the boat. Important to realize, I bought this in Costa Rica and they were bragging about it being Brazilian wood. 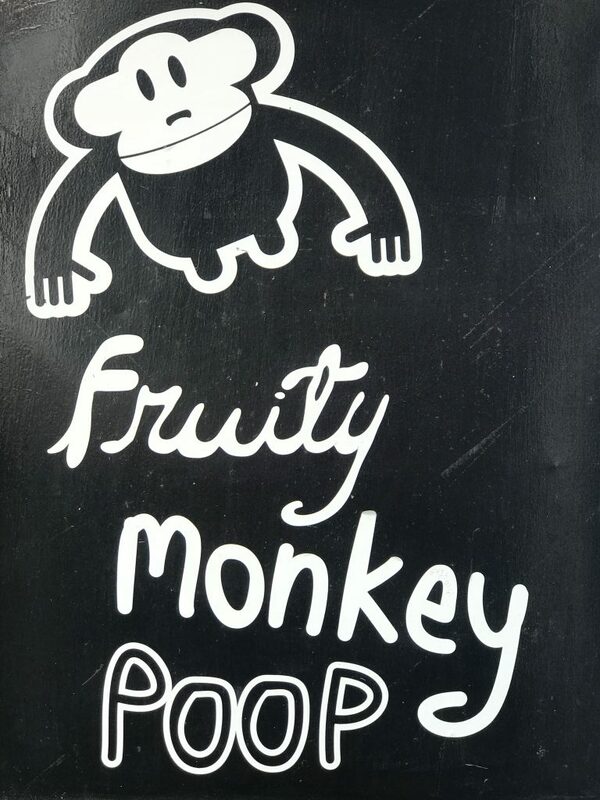 They have several of these stores around town which just crack me up – Fruity Monkey Poop. Obviously, it is a cafe that sells tourist items. I forgot to post this photo during one of our tours. 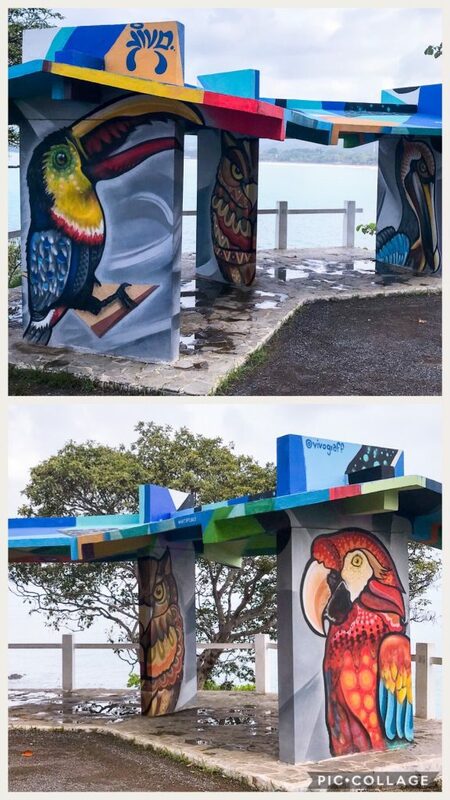 They have wonderful art like this all around Costa Rica. This is a beautiful bus stop. In Costa Rica they make fences using cut down trees. After awhile, the trees start to grow again. The horses and cows eat from the tree fence while being confined to the pasture. I took these photos from a moving van on the highway, can you tell? 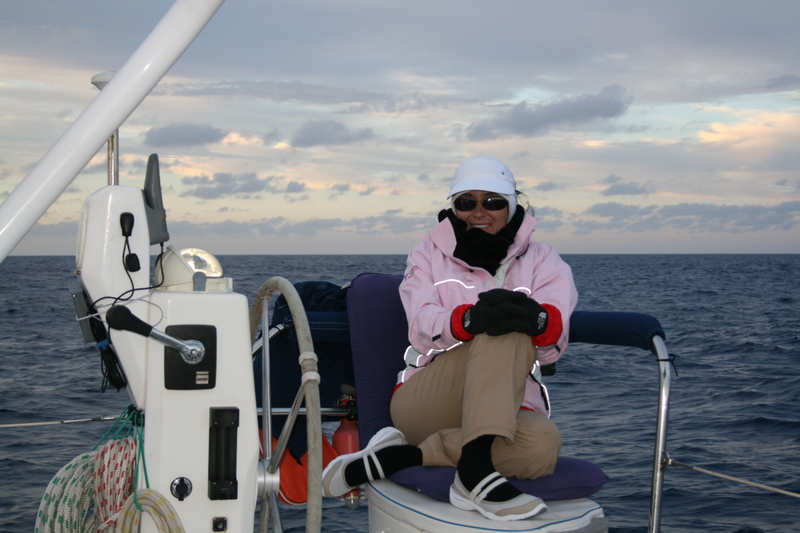 We had many lovely sunsets while anchored at Bahia Herradura. 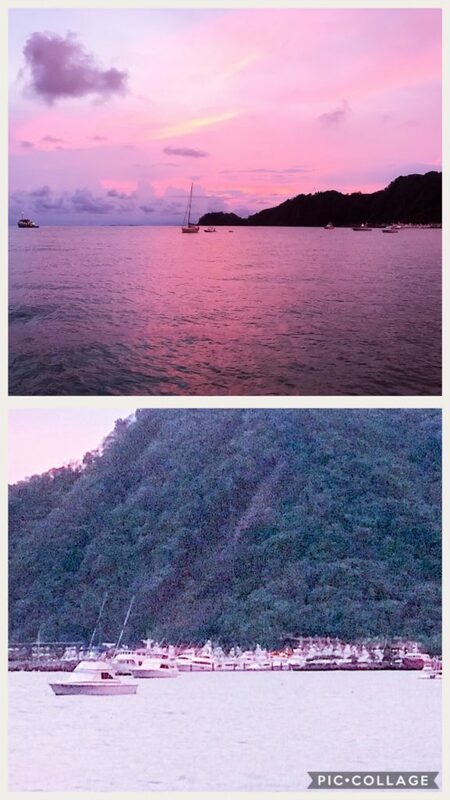 The top image is the sunset and the bottom is the view of the Los Suenos Marina at night. Sugar Shack was struck by lightning while we were celebrating Mother’s Day with Monica. 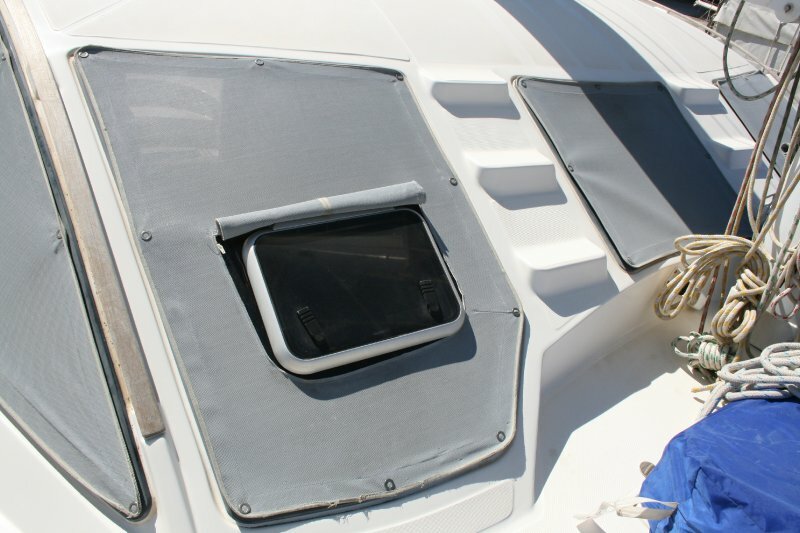 We will be working on repairs for the next several months. With this in mind, we will not be posting about the incident until it is 100% resolved and behind us. Thank you for being patient. 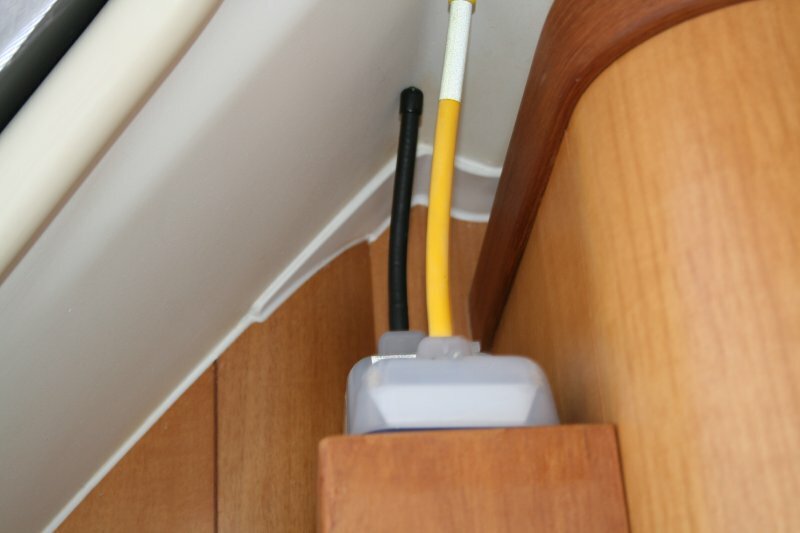 This entry was posted in Costa Rica, Daily Lime and tagged Bahia Herradura, bahia jaco, costa rica, fruity monkey poop, herradura, jaco, living on a boat, los suenos, mother's day in costa rica, playa jaco, poseidon hotel, sailing on a catamaran, sugar shack on August 7, 2018 by Christine. Our tour continued after the Doka Coffee Plantation. Oscar, our driver drove us an hour to the La Paz Waterfall Garden and Nature Preserve. Originally, we were all excited about the waterfall tour, but as we entered the facility, our interests quickly shifted to the animals. 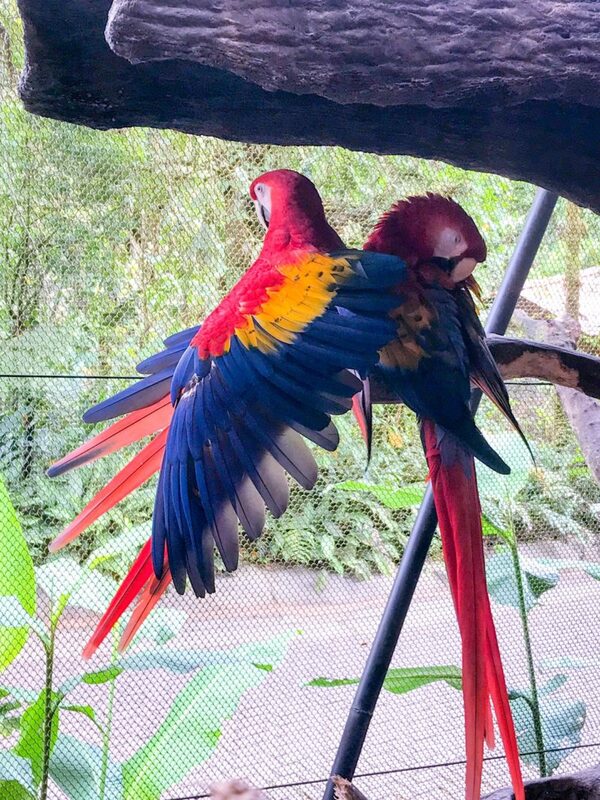 The tour started in the bird aviary where toucans, pavas, scarlet macaws, grosbeaks, and many others fly freely. This aviary is a refuge for wild birds that have either been captured illegally by hunters and confiscated by the government or donated by owners. Many of the birds lack the basic skills to survive and the wild on their own. 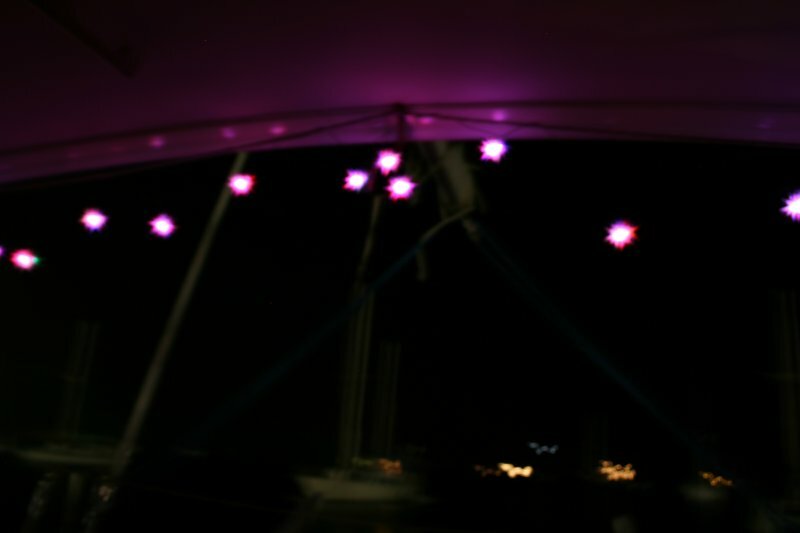 Is an enclosed structure that allows over 20 different species of butterflies to soar freely. 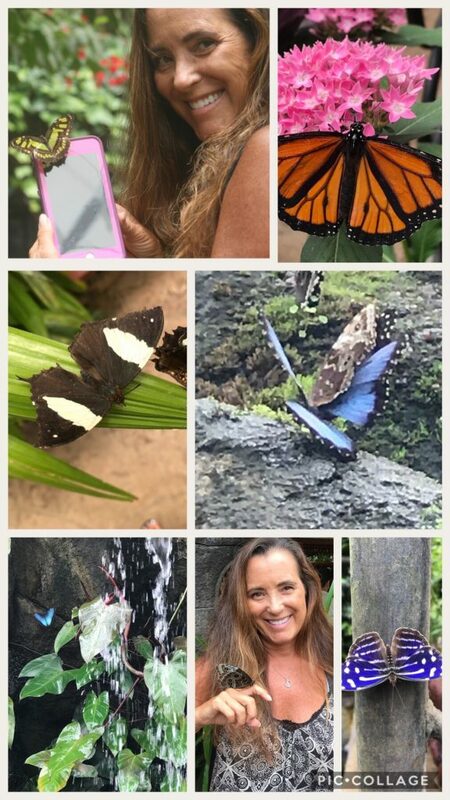 We mostly saw the blue monarchs, but they were all gorgeous. 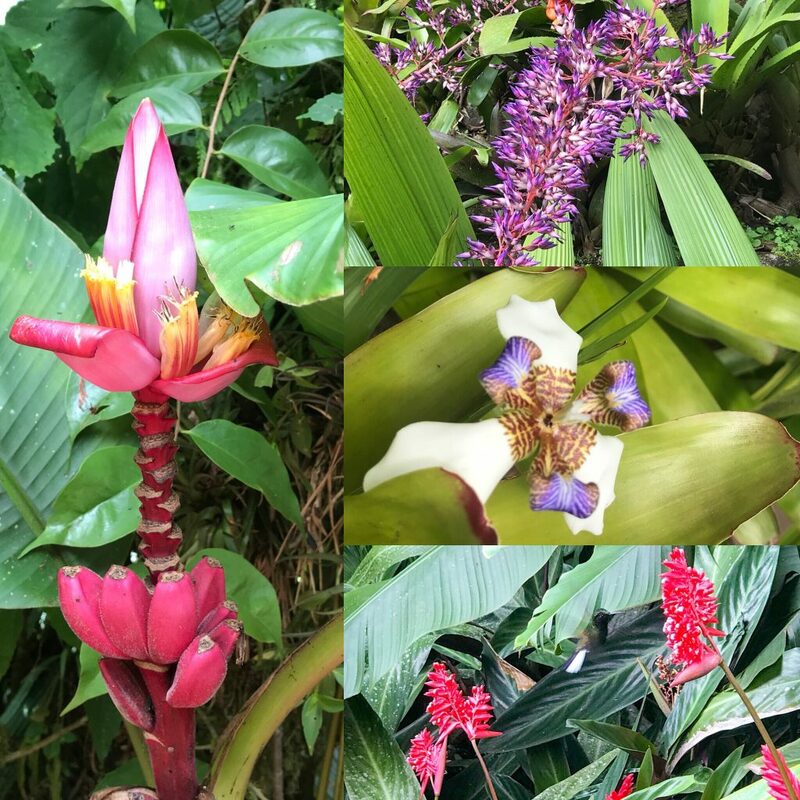 There were an assortment of breath taking flora around the park as well. La Paz boasted of a monkey, hummingbird, and snake sanctuaries as well. The monkeys were just not as exciting as the ones we met in the wild, but still fun. 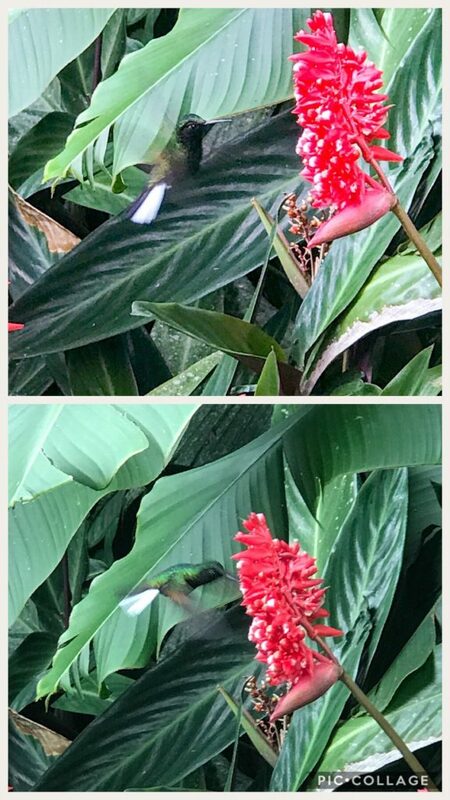 The hummingbird Garden was beautiful and offered a rare chance to see these skittish creatures in front of your face. Can you see the beautiful green breasted hummingbird below? Is a reproduction built using only the tools available to the average farmer a century ago. Inside they offered fresh cow milk cheese and hot tea. 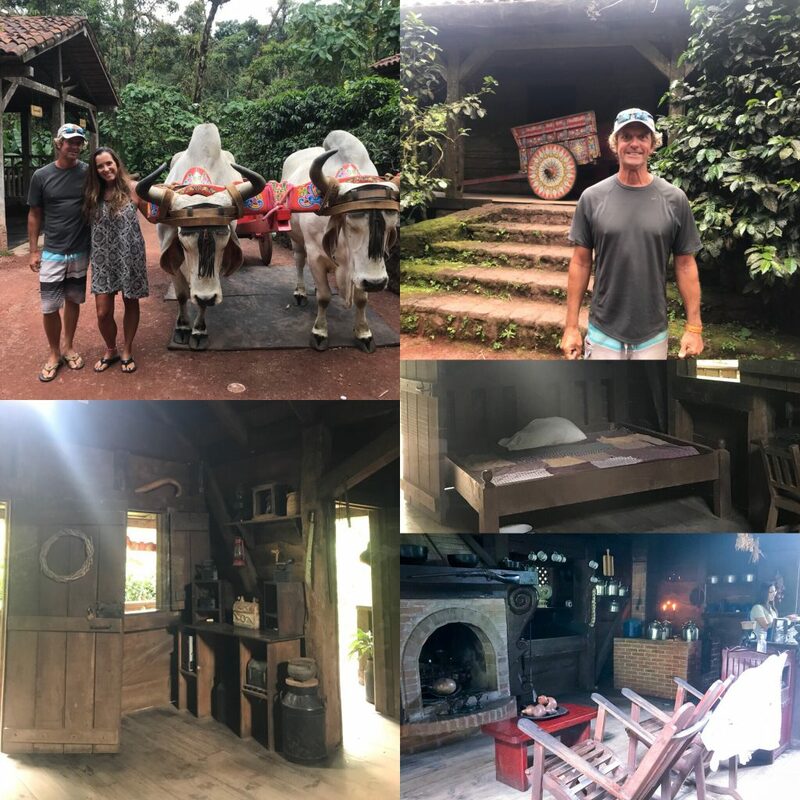 Matt joined me for a photo op with an ox-driven cart, even though we passed on the joy ride. One of my favorite stops was the jungle cat exhibit. This is the newest exhibit and it is considering temporary at the moment. 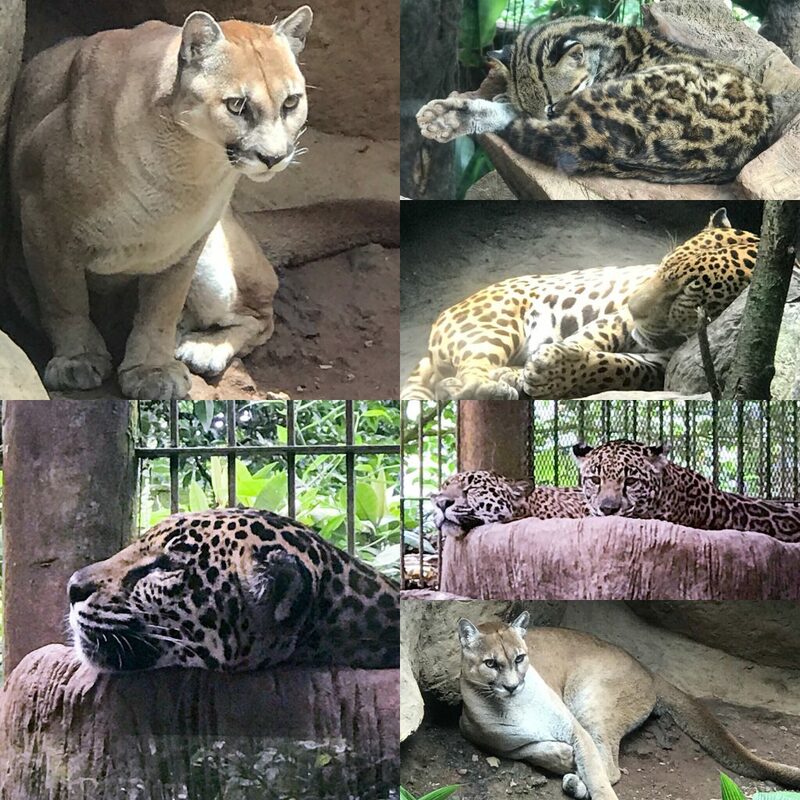 We saw Ocelots, jaguardundi and Margays. Monica and Oscar took the van and drove around to the bottom of the falls where they met us after our hike. The walk down the waterfalls was a 45 minute walk down hundreds of stairs which would have been too challenging for Monica. 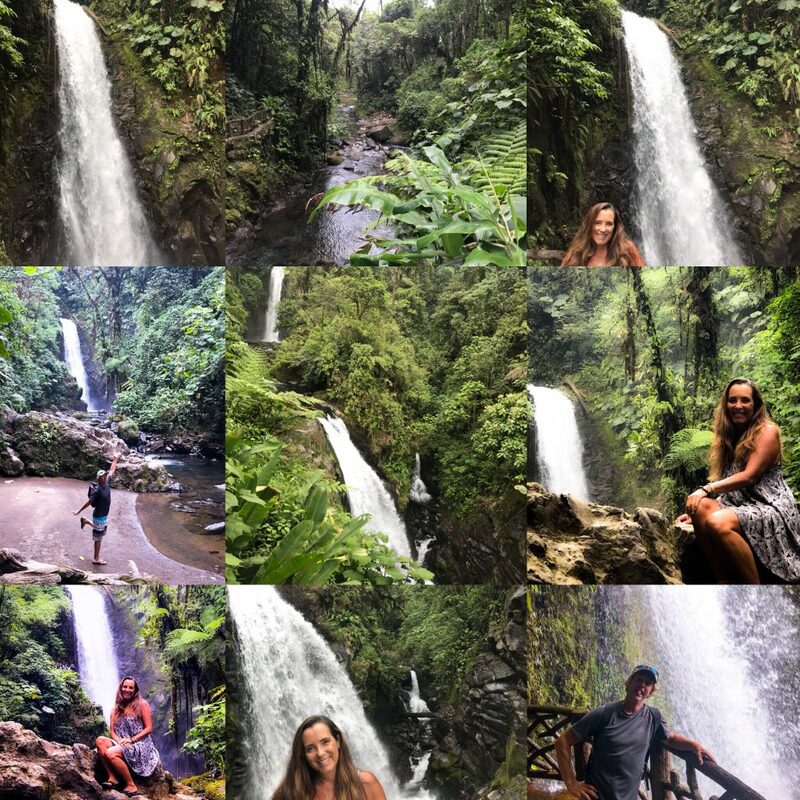 As Matt and I began our descent, we quickly came across the first waterfall called Magia Blanca Waterfall which was 120’ tall. This trail took us through the La Paz river along the rainforest showing the diversity of the plant and wildlife. The other two waterfalls are Encantada Waterfall at 65’ and Escondida Waterfall at 10’. They were beautiful and refreshing. We had a little fun with each of them. It had been a really long day. It took us 2 hours to drive back into town where Oscar dropped Matt and I off at La Puesta Del Sol and took Monica back to Croc’s. We had a quick beverage, caught our water taxi back to the boat and were unpacking as another boat stopped by. 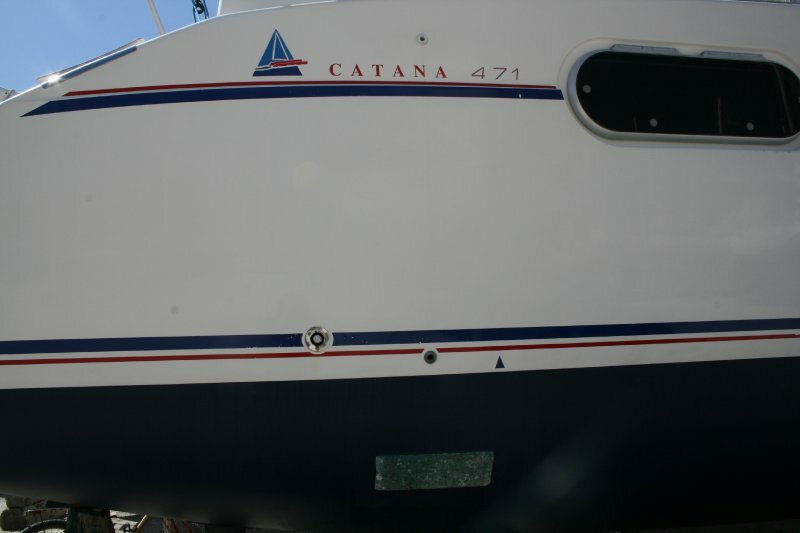 Manu Kai is a beautiful 56’ catamaran that is part of the Panama Posse. They invited us over for a cold drink to share stories. Super nice family, Thor and Tanya with a 16 year old son, Tristan and 12 year old daughter Sienna. 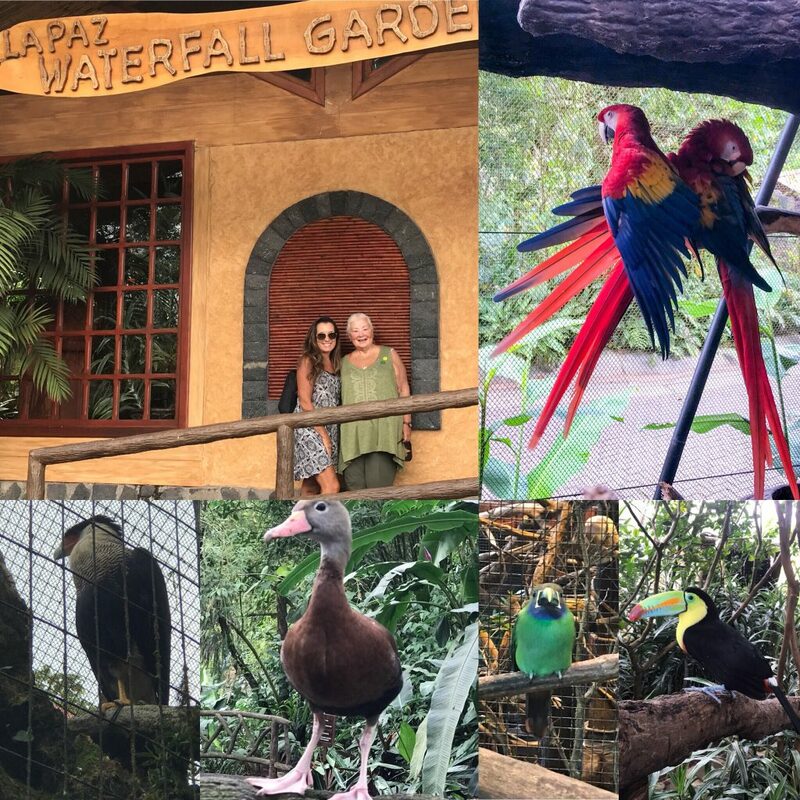 This entry was posted in Costa Rica and tagged birds, cats, costa rica, flora, La Paz Water Garden, life aboard a boat, living on a boat, monkeys, Nature preserve, sailing on a boat, sugar shack, waterfalls on July 31, 2018 by Christine. We decided to take another land tour while Monica was visiting. It is so fun because she is so awesome and up for anything. 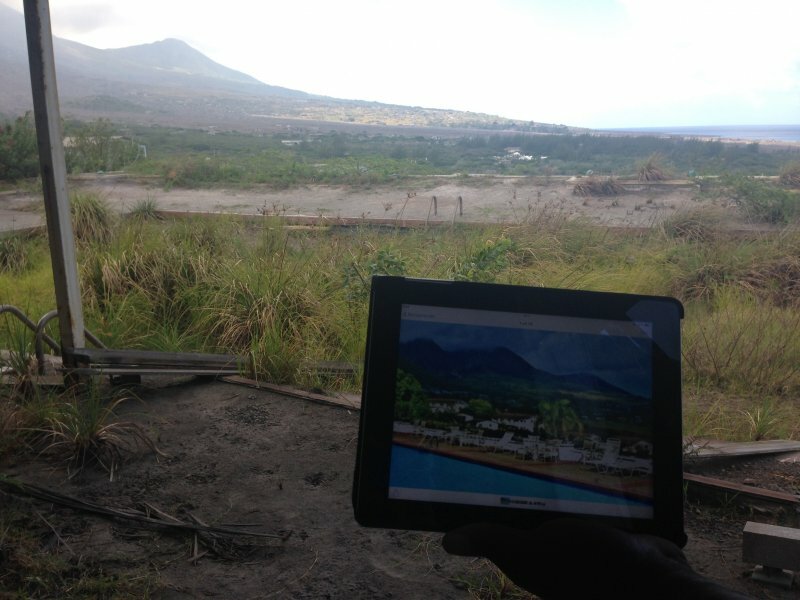 We selected an all day tour set up by the resort that takes you to the Doka Coffee Plantation. Our driver and guide, Oscar picked us up at 645am, we drove for 30-45 minutes, and stopped for a superb and very large breakfast. 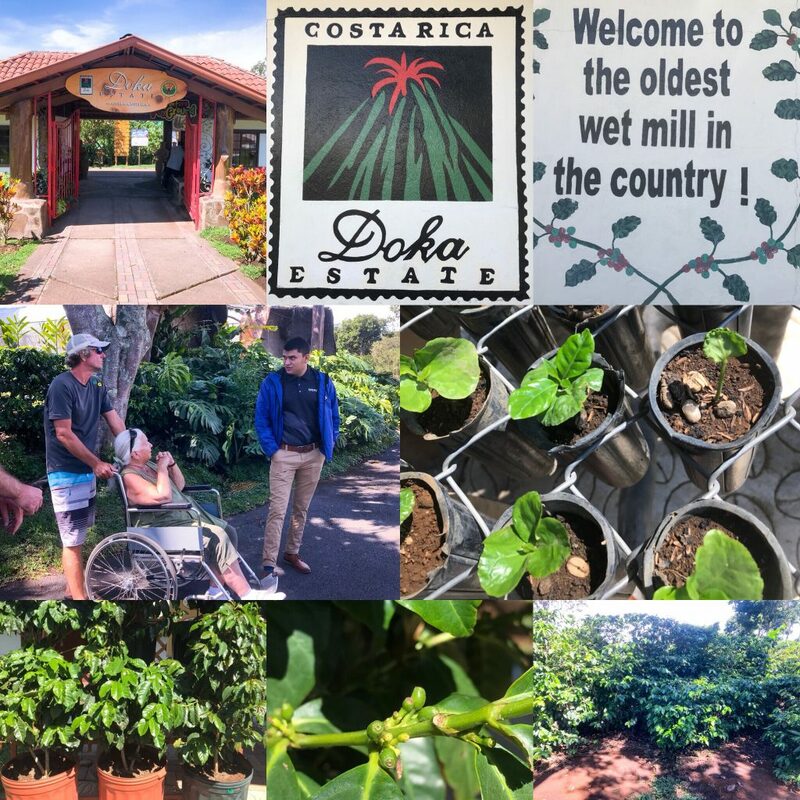 Our next stop was the Doka Coffee Plantation which was another 90 minutes away. 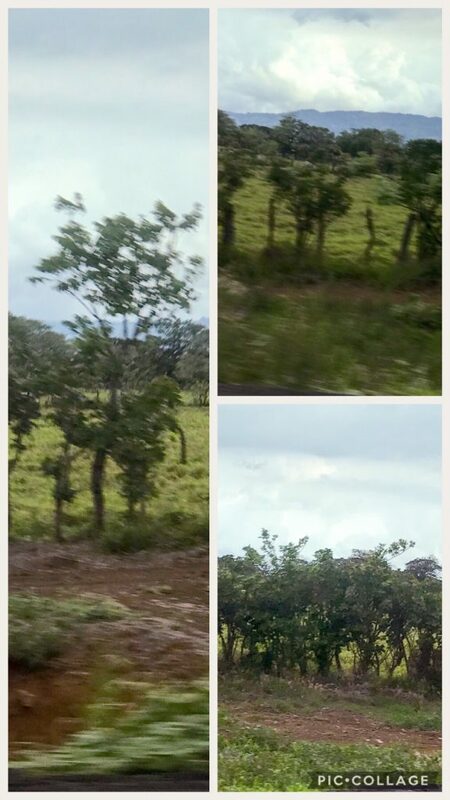 It was really lovely to see the interior of Costa Rica with its rich and lush trees, plants, and fields. We passed by a milk plantation, several rice fields, coconut fields, and palm tree plantations. Our Coffee guide was incredibly informative as he took us through the growing of the coffee plants through the entire bean process. This plantation and all coffee plantations in Costa Rica only grow the arabica coffee bean. They do not grow the robusta coffee bean as they believe it to be an inferior bean. This is mandated by the Costa Rica Government and is a law. Image. Top Row: Entrance to Doka and Proud Doka Signs. Middle Row: Guide with Matt and Monica and baby coffee bean sprouts. Bottom Row: Bean plants at 1 year, tiny coffee beans on plants, and the coffee plant at 4 years. This plantation is a family business and consumes 190 hectares of land. 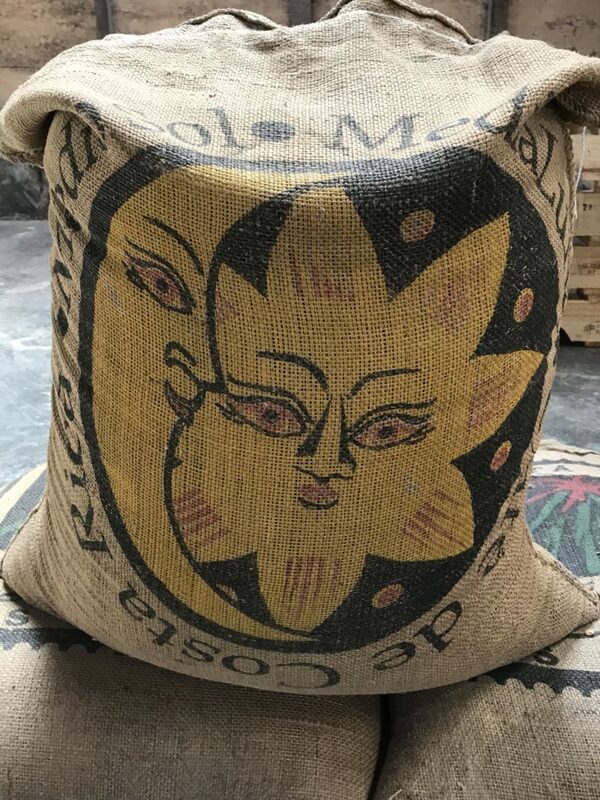 Costa Rica is broken into 8 coffee growing regions which grow different flavors based on the soil, weather, elevation, temperature, etc…Doka is in the Central Valley Region which is about 140 meters above sea level and grows their beans in a volcanic soil. One bean makes one plant. The bean is planted and kept in a nursery for 3 months. Then it is replanted in a pot where it will grow for 1 year. After 1 year, they will replant it in the coffee plantation where it will grow for an additional 3 years before it is harvested. Plants are harvested once per year starting in late October through early February. They will continue to harvest the plants for 20-25 years and then they will cut them down and replant new plants. However, every aspect of the coffee been plant will be reused at the plantation. The Coffee plants flower in March at the start of rainy season and they smell like jasmine. These flowers must be picked within 3 days as they self-pollinate. Many companies come to pick the flowers to turn them into perfumes and body lotions. Once picked, the fruits appear at the same spot where the flowers once grew. After the fruit appears, it needs 4-5 months to turn red, or ripen. When the fruits or beans are ripe, Doka will bring in 180-190 pickers. About 80% of the pickers are from Nicaragua, 10% from Panama and 10% local Ticos. Since the vast majority of them are from out of the country, Doka will pay to transport the picker and their family, pay for housing and utilities, transport to and from work and insurance while working. Not all plantations are this generous. The Costa Rican Government mandates the pay for all pickers. You can pay your workers, more but you cannot pay them less. The pickers fill cajuelas and are paid by cajuela. 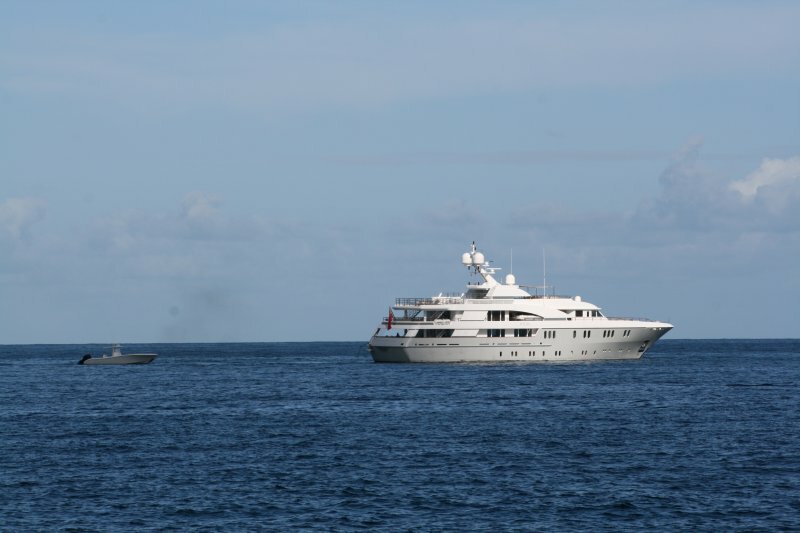 Each cajuela is worth 1000 colones according to the government. But, Doka pays them 1200 colones per cajuela. Most workers can fill 15 cajuelas per day average about $30-$35. Once the beans are picked they are placed in a wet mill powered 100% by water. 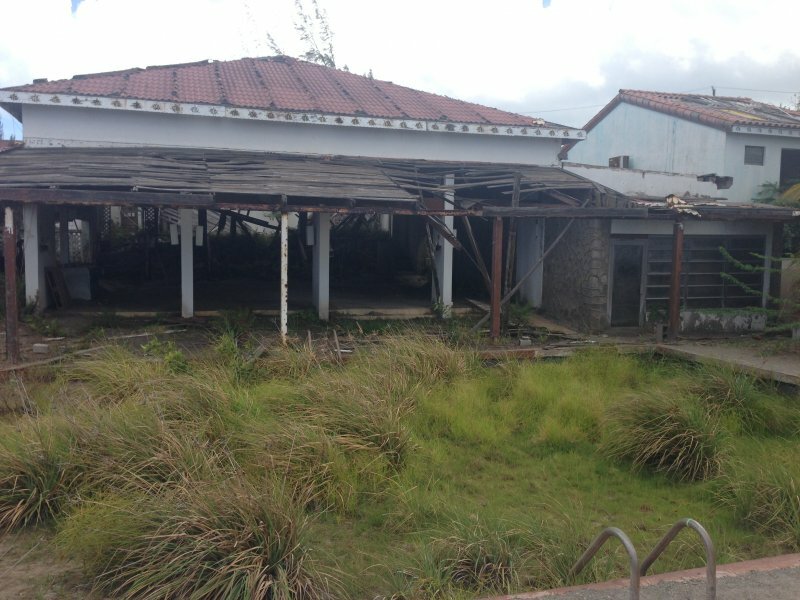 It is the oldest working wet mill in the country and has been operating for over 100 years. The workers put their cajuelas into the receiving bin which is called a fanejua. The fanejua holds about 20 cajuelas. The fanejua will then dump the beans into the wet mill where the good beans will sink and the not so good beans will float. The beans are separated into 3 qualities: premium, good, and not so good. The second station has two sets of grinders that peel the skin off the beans while maintaining the separation of quality beans. Once the skins are removed, the beans are moved on to station 3. All the beans are moved to the fermentation station, each in their own separate chamber. It takes 36 hours to remove the sugar and prepare the beans for drying. The premium beans are placed outside on the drying station and left out to dry in the sun for 5 days. 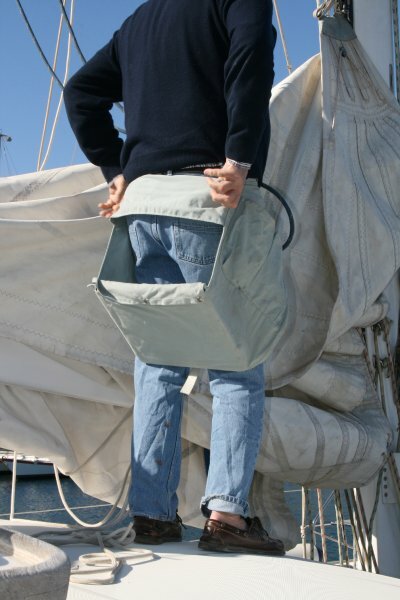 They are turned every 15 minutes to ensure even drying. The good and not so good beans are dried outside for 1 day and then sent to the ovens to dry for a few hours. The taste is not as good when the beans are dried in the ovens. The premium beans are then stored into bags. One Fanejua (or 20 cajuelas) are placed into 1 bag which is 100 pounds. 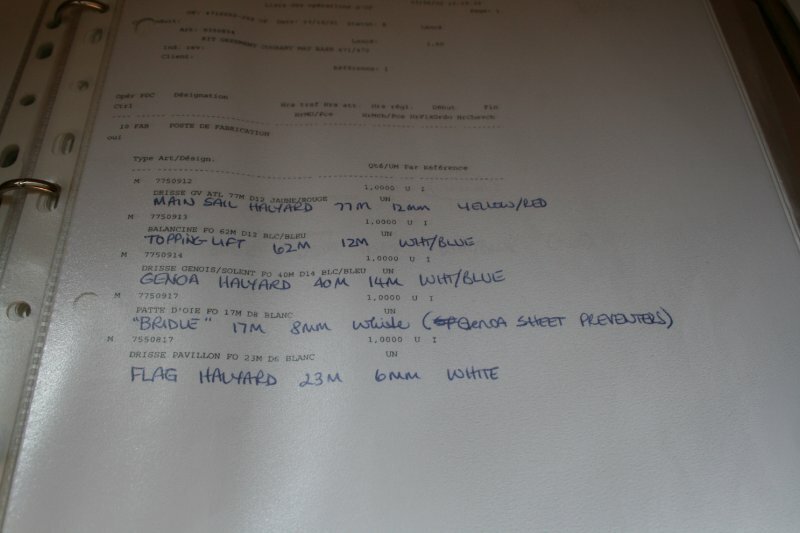 The beans will then be aged for another 3-4 months, inside the bags, inside the storage room. Image Below: Top Row: Station 1, 2 and 3 (left to right). Middle Row: Station 4 and 5 and image of storage bag. Bottom Row: 3 qualities of beans with premium at top, drying station and final beans. A batch of premium beans are sent to Germany to be remove the caffeine. The German company uses a Swiss water dehydration process to create decaffeinated beans. Doka only pays for shipping each way as the German company resells the caffeine to other companies such as Coca Cola and Red Bull. The premium beans are sold under their brand name Café Tres Generaciones. The good beans are used by Doka for their blends. However, the 3rd quality beans are sold to other companies who don’t grow their own beans to roast and sell under a different brand name. 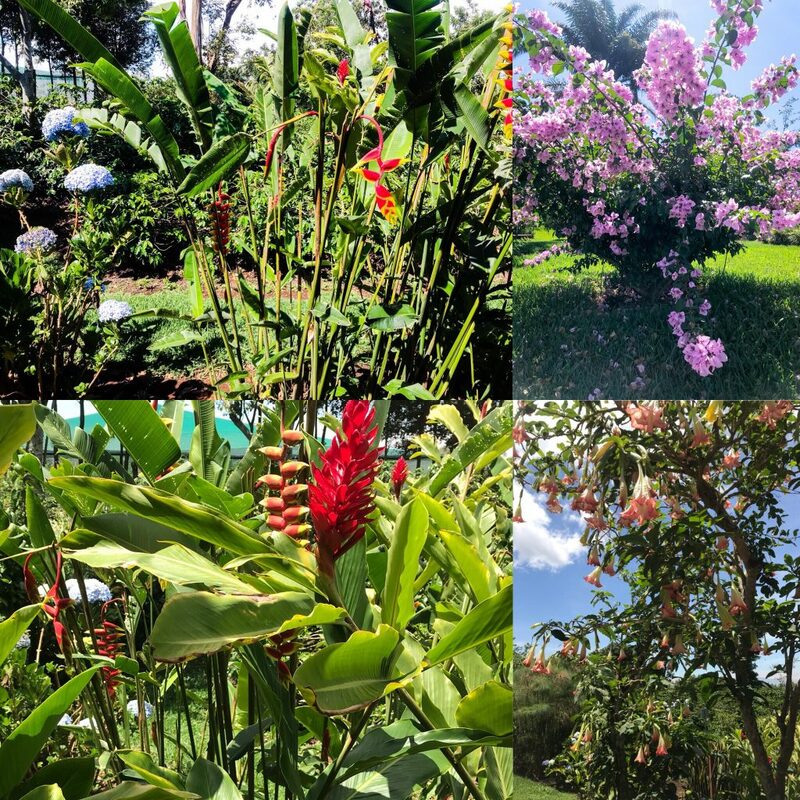 In addition to the coffee plants, Doka had a variety of stunning flowers can be found all around the coffee plantation. I had a field day trying to capture them all while remaining a part of the group. 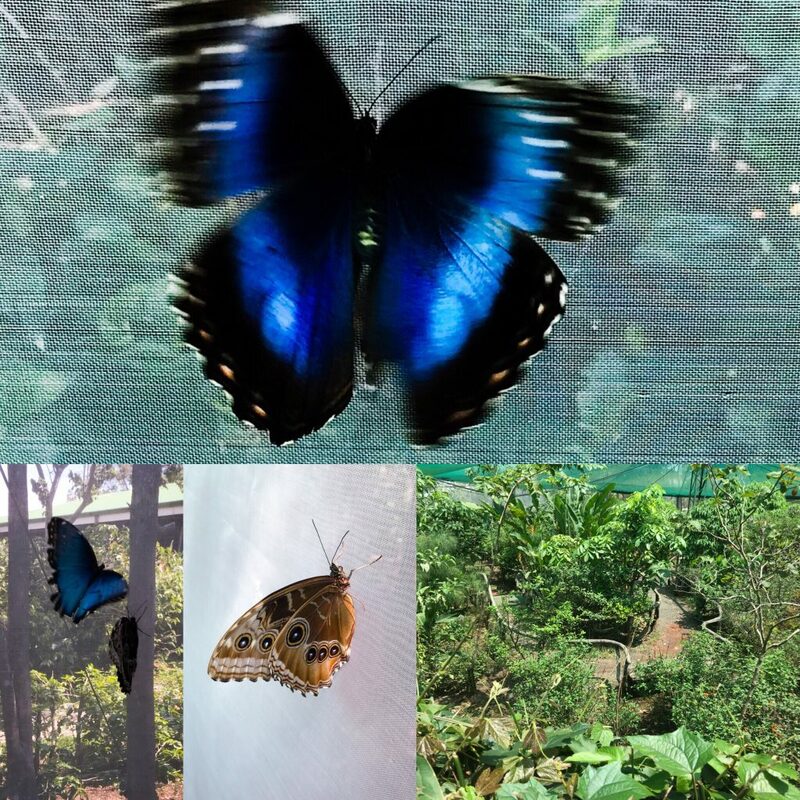 You could also visit their butterfly sanctuary and bonsai gardens. Most noteworthy, was the abundance of the blue monarchs. 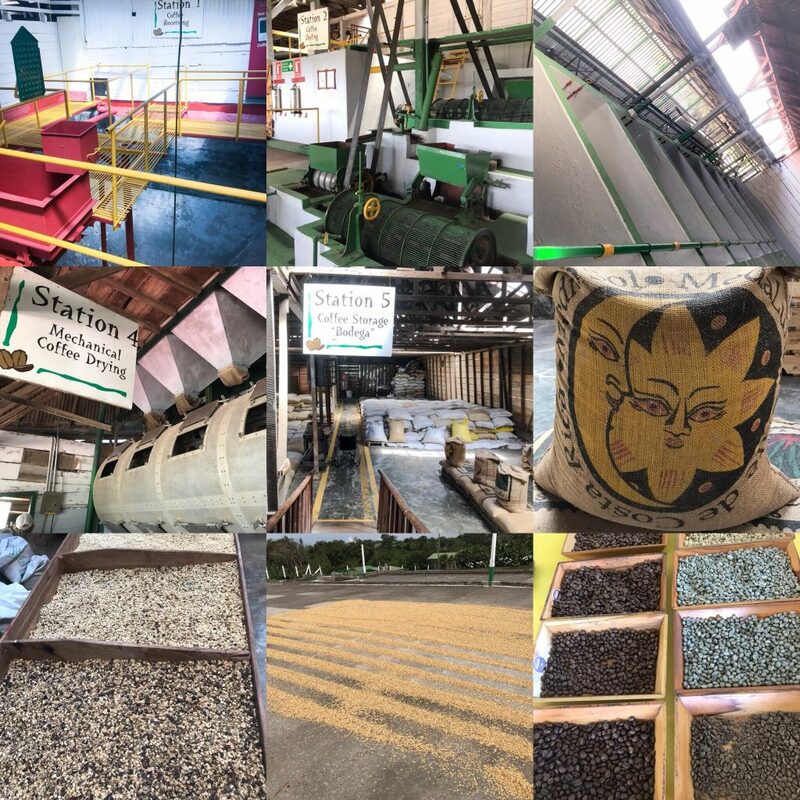 This entry was posted in Costa Rica, Daily Lime and tagged blue monarch butterflies, coffee bean, coffee bean harvest, coffee plantation, costa rica, doka, drying station, fauna, flora, storage station, sugar shack, wet mill on July 24, 2018 by Christine.